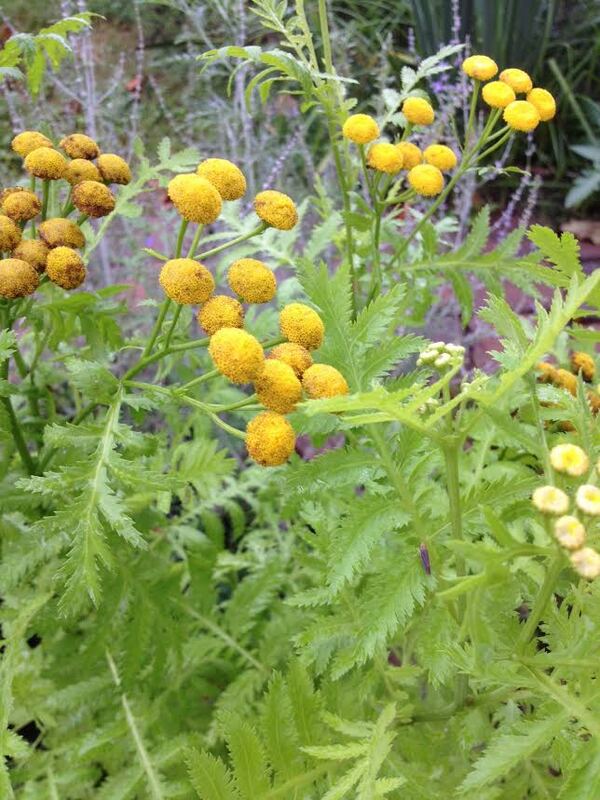 This herb is called Tansy (Tanacetum vulgare). It’s another one of those new ones we discovered and planted for the first time this year. And supposedly, it’s a perennial. We’ll see. It’s an Asian plant that has become invasive in some parts of the U.S. It is also called Bitter Buttons, Cow Bitter, Mugwort, or Golden Buttons. It has many uses from face wash to insect repellent, and was often packed into coffins to keep worms out! For us, it’s just been a decorative addition to the garden this year.